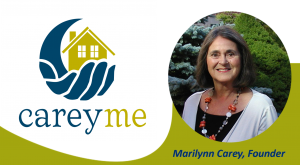 CAREY ME is a memorial fund in remembrance of Bill Carey maintained by volunteers, donor gifts, and fundraising events. Bill’s wife Marilynn and daughter Stephanie Carey enabled Bill to spend his last days at home in the comfort of family and friends and they wanted to help other families do the same. The CAREY ME fund provides financial assistance to persons with life threatening illnesses, who choose to remain in the comfort of their home with family and loved ones. CAREY ME is administered by the Valley Regional Hospital Foundation and is accessible to all residents of the Annapolis Valley by calling the Annapolis Valley Palliative Care Program at 902-542-6303.